Ruby Charak received a Master of Arts in Psychology (Panjab University, India), and Master of Philosophy (M.Phil) in Clinical Psychology (University of Delhi, India). 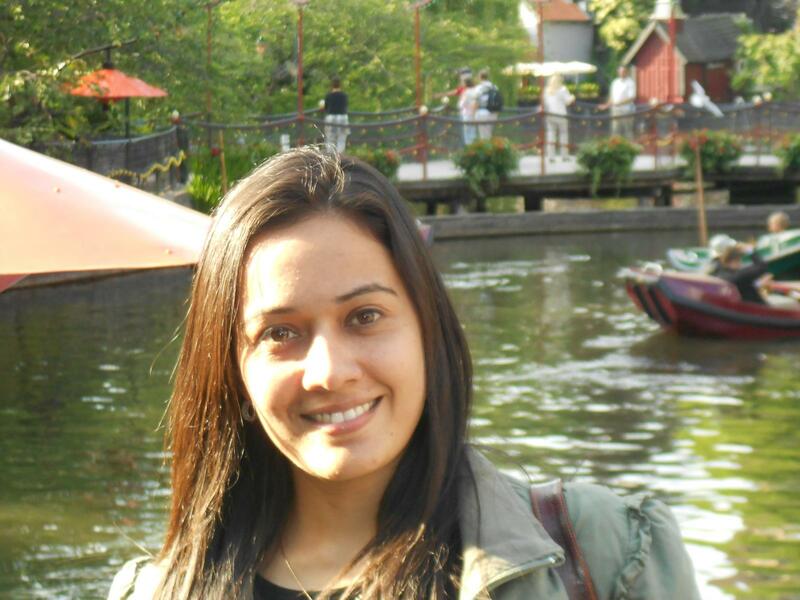 She taught undergraduate and graduate level courses of Psychopathology, Clinical Assessment and Diagnosis, Developmental Psychology, and Physiological Psychology for nearly five years in India before moving to the Netherlands to pursue a PhD in Developmental Psychology and Psychopathology at the Vrije Universiteit (Free University) of Amsterdam. She is interested in studying abuse and neglect and other childhood adversities in adolescents/young adults, and related psychopathology. She is intrigued by how various trajectories work between different types of childhood adversities and psychopathology, and what factors play a protective role (demography, emotion regulation, and attachment) or act as potential risk factors based on the ecological-transactional theory of development. Additionally, she is interested in studying PTSD and its factor structure, how it differs from other closely related disorders, across age and culture. Presently, Ruby is a postdoctoral research associate for Project WISE, a study examining risk factors of sexual revictimization. Future research will focus on the lifetime victimization profiles and developmental trajectories between childhood adversity and related psychopathology, including personality pathology. Charak, R., Koot, H. M., Dvorak, R. D., Elklit, A., & Elhai, J. D. (2015). Unique versus cumulative effects of physical and sexual assault on patterns of adolescent substance use. Psychiatry Research (In press). Claycomb, M., Charak, R., Kaplow, J., Layne, C. M., Pynoos, R., & Elhai, J. D. (2015). Persistent complex bereavement disorder symptom domains relate differentially to PTSD and depression: A study of war-exposed Bosnian adolescents. Journal of Abnormal Child Psychology (In press). Charak, R., & Koot, H. M. (2015). Severity of maltreatment and personality pathology in adolescents of Jammu, India: A latent class approach. Child Abuse and Neglect (In Press). Singh, D., Gupta, K., Bakhshi, A., & Charak, R. (2015). Effect of general health status, and social support on psychological well-being among the Kashmiri migrants. Journal of Indian Health Psychology, 9, 41-50. Armour, C., Tsai, J., Durham, T., Charak., R., Biehn, T., Elhai, J. D., & Pietrzak, R. H. (2015). Dimensional structure of DSM-5 posttraumatic stress symptoms: Support for a hybrid anhedonia and externalizing behaviors model. Journal of Psychiatric Research, 61, 106-113. Charak, R., Armour, C., Elklit, A., Angmo, D., Elhai, J. D., & Koot, H. M. (2014). Factor structure of PTSD, and relation with gender in trauma survivors from India. European Journal of Psychotraumatology, 5, 25547-http://dx.doi.org/10.3402/ejpt.v5.25547. Fowler, C. J., Charak, R., Elhai, J. D., Allen, J. G., Frueh, C. B., & Oldham, J. M. (2014). Construct validity and factor structure of the Difficulties in Emotion Regulation Scale among adults with severe mental illness. Journal of Psychiatric Research, 58, 175-180. Charak, R., & Koot, H. M. (2014). Abuse and neglect in adolescents of Jammu, India: The role of gender, family structure, and parental education. Journal of Anxiety Disorders, 28, 590-598. Contractor, A. A., Mehta, P., Tiamiyu, M. F., Hovey, J. D., Geers, A., Charak, R., Tamburrino, M. B., & Elhai, J. D. (2014). Relations between PTSD and Distress dimensions in an Indian child/adolescent sample following the 2008 Mumbai terrorist attacks. Journal of Abnormal Child Psychology, 42, 925-935. Charak, R., Armour, C., Elklit, A., Koot, H. M., & Elhai, J. D. (2014). Assessing the latent factor association between the Dysphoria model of PTSD and, Positive and Negative Affect in Trauma Victims from India. Psychological Injury and Law (Special Edition on PTSD), 7, 122-130. Gohil, E., & Charak, R. (2013). Meaning in Life, Life Satisfaction, and Positive and Negative Affect in Older Adults: Effect of Gender and Type of Residence. Indian Journal of Positive Psychology, 4, 55-59. Sachdeva, P., Bakhshi, A., & Charak, R. (2013). Organizational Role Stress in Women Bankers: Interplay with Age and Socio-economic status. Indian Journal of Community Psychology, 9, 144-151. Charak, R., & Spalzes, L. (2011). Exposure to Cloudburst in Leh: Posttraumatic Stress Disorder and Associated Factors. Indian Journal of Psychological Science, 2, 79-88. Charak, R., Kohli, S., Gohil, E., Vaid, J., Thappa, J., & Sachdeva, P. (2011). Effect of gender and type of illness on perceived stigma and self-esteem in people with mental illness. Indian Journal of Health and Well Being, 2(2), 334-337. Charak, R., & Bhat, A. (2011). Gender differences in trauma symptoms, perceived stress and coping strategies in Kashmiri migrants. Indian Journal of Health and Well Being, 2(1), 24-26. Charak, R., Sharma, U., & Singh, A. (2010). Strengths and Difficulties of shelter home adolescents affected by terrorist acts from Jammu division. Indian Journal of Social Science Researches, 7(2), 112-121. Sharma, P., Charak, R., & Sharma,V. (2009). Contemporary Perspectives on Spirituality and Mental Health. Indian Journal of Psychological Medicine, 31 (1), 16-23. Charak, R., & Singh, T.B. (2008). Psychopathological formulation of a case with Pain Disorder. Researcher, 1 (1), 161-169. Bhandari, A., & Charak, R. (2006). Migration and Well- Being: A study of Kashmiri Hindus from the valley. Academic Research, 1 (1), 69-78. Bakhshi, A., Charak, R., & Sachdeva, P. (2006). A study of mental health and personal adjustment of middle and late adolescent girls. In R. Singh and R Shyam (Eds.). Psychology of Well-Being, (pp. 139-145). New Delhi, India: Global Vision Publishing House. Sachdeva, P., Charak, R., & Bakhshi, A. (2010). A Textbook of Human Development and Abnormal Behaviour, Jammu, India: Oberoi Book Services. Charak, R. (2015). Child abuse and neglect in India: Prevalence and policy recommendations. ISTSS-Stress Points. Charak, R. (2011). Violence against Dating Partner: A Consequence of Child Maltreatment. PsyInsight, 2 (2-3), 10. Charak, R. (2010). Childhood under Threat: Effect of Child Sexual Abuse on Mental Health. PsyInsight, 1(5), 36-37. “Abuse and Neglect in adolescents of Jammu, India: Role of Gender, Family Structure, and Parental Education” Paper presentation at the 30th Annual Meeting of International Society for Traumatic Stress Studies (ISTSS) at Miami, Florida, USA to be held from November 6-8, 2014. “Severity of Maltreatment and Personality Pathology in Adolescents of Jammu, India: A Latent Class Approach” Poster Presentation at the 30th Annual Meeting of International Society for Traumatic Stress Studies (ISTSS) at Miami, Florida, USA to be held from November 6-8, 2014. “Relation between Persistent Complex Bereavement Disorder, and PTSD’s Emotional Numbing model in a Bosnian adolescent sample” Poster Presentation at the 30th Annual Meeting of International Society for Traumatic Stress Studies (ISTSS) at Miami, Florida, USA to be held from November 6-8, 2014. “A Confirmatory Factor Analytic Study of PTSD’s Latent Structure In Indian Trauma Survivors: Role of Gender” Poster presented at Anxiety and Depression Conference organized by Anxiety and Depression Association of America (ADAA), Chicago, USA from March 27-30, 2014. “Association between Severity of Physical and Sexual Assault, and Typology of Lifetime Substance-Use among Adolescents” Poster presented at Anxiety and Depression Conference organized by Anxiety and Depression Association of America (ADAA), Chicago, USA from March 27-30, 2014. “Difficulties in Emotion Regulation Scale: Psychometrics and Factor Structure in Psychiatric Patients” Poster presented at Anxiety and Depression Conference organized by Anxiety and Depression Association of America (ADAA), Chicago, USA from March 27-30, 2014. “Child abuse and neglect and personality pathology in Asian and European context” Symposium Oral paper presented as part of paper symposium titled ‘Child abuse and neglect: Prevalence and associated psychopathology in multi-cultural contexts’ at Society for Research in Child Development (SRCD), Seattle, USA from April 18-20, 2013. “Factors predicting PTSD: A study of Indian villagers residing along Line of Control” Paper presented at the 12th European Conference on Traumatic Stress (ESTSS), Vienna, Austria from June 2-5, 2011. “Patterns of maltreatment, and strength and difficulties among school-going Kashmiri migrants and Non-migrants from Jammu City” Poster presented at the International Conference on ‘Enhancing Human Potential: Bio-Psychosocial Perspective’ organized by the Asian Association of Applied Psychology (AAAP) held at Panjab University, Chandigarh, India from November 15-17, 2010. “Elucidation of drawings, strengths, and difficulties of adolescents from conflict zones of Jammu and Kashmir” Paper presented at the 45th National & 14th International Conference of the Indian Association of Applied Psychology (IAAP) on Quality of Life and Globalization: Effective Self Care Interventions held at Andhra Pradesh University, Vishakhapatnam, India from February 18-20, 2010. “A study of emotional and behavioural problems, and maltreatment in shelter home children” Paper presented at the 35th National Annual Conference of Indian Association for Clinical Psychologist (IACP) on Enabling the Disabled, organized by Sweekar Academy for Rehabilitation Sciences, Hyderabad, India from January 16-18, 2009. “Spirituality and Mental Health: A Contemporary Perspective.” Paper presented at National Seminar on Positive Perspectives of Health and Behaviour, organized by M.D. University, Rohtak, Haryana, India from February 1-2, 2008. Gave a talk on ‘Child abuse and neglect in India: Is it of epidemic proportions?’ at the Brown bag, Minority health initiative summer research program, Department of Sociology, University of Nebraska-Lincoln, Lincoln, USA on July 08, 2015. Gave a talk on ‘Severity of maltreatment in adolescents of Jammu, India: A latent class approach’ at the Developmental Psychology Interest Group (DIG) meeting, Department of Psychology, University of Nebraska-Lincoln, Lincoln, USA on November 18, 2014. Gave a presentation on ‘Child Abuse and Neglect in India: Challenges in the field’ at Brown Bag, Department of Developmental Psychology, University of California-Riverside, Riverside, California, USA on April 29, 2013. Conducted workshop on ‘Identifying abuse and neglect in children’ with teachers of Air Force School, Panchvati, Palam, New Delhi, India on December 19, 2012. Resource Person for delivering lecture to Police Personnel of Jammu and Kashmir on the topic ‘Motivation and Communication: Importance in Police’ organized by Sher-i-Kashmir Police Academy, Udhampur, Jammu and Kashmir, India on November 01, 2011. Speaker in Panel Discussion on the topic ‘Prevention of Suicide: Issues and Challenges’ telecasted on Take One Television, Jammu, India on October 08, 2011. Gave a Psychological Viewpoint on ‘Neeraj Grover Murder case’ to TIMES NOW News Channel (National), India telecasted on July 01, 2011. ‘Grief and Bereavement counseling’ under GFATM Project (Bill and Melinda Gates Foundation, USA) Jammu and Kashmir at University of Jammu, Jammu, India for HIV/AIDS NACO training on March 01, 2011. ‘Suicide Risk Assessment and Management for Patients with HIV/AIDS’ under GFATM Project (Bill and Melinda Gates Foundation, USA) Jammu and Kashmir at University of Jammu, Jammu, India for HIV/AIDS NACO training on February 28, 2011. Conducted workshop on ‘Stress Management’ with Air Warriors of Indian Air Force at 13 BRD, Air Force Palam, New Delhi, India on February 25, 2011. ‘Counseling: Micro-Skills’ under GFATM Project (Bill and Melinda Gates Foundation, USA) Jammu and Kashmir at University of Jammu, Jammu, India for HIV/AIDS NACO training on February 23, 2011. Given talks on All India Radio, Jammu, India on Stress Management, Adolescent Issues, and Examination Anxiety from September 2005-August 2006. Student Member of Society for Research in Child Development (SRCD), Michigan, USA. Member of Asian Caucus, Society for Research in Child Development (SRCD), Michigan, USA. Member of the ‘Committee on Membership’, International Society for Traumatic Stress Studies (ISTSS), Illinois, USA (October 2013-Present). Student Member of Anxiety and Depression Association of America (ADAA), Maryland, USA (February 2014-Present). Certified Clinical Psychologist by Rehabilitation Council of India, New Delhi, India. Registration No. A13491. Professional Life Member of Indian Association of Clinical Psychologist (IACP), India. Membership No. PLM 341/08/10. “Severity of Maltreatment and Personality Pathology in Adolescents of Jammu, India: A Latent Class Approach” Finalist for Student Poster Award at ISTSS 30th Annual Meeting at Miami, Florida (USA) to be held from November 6-8, 2014. Selected and participated in ‘Master Training of Trainers in HIV/AIDS Counseling’ under Global Fund To Fight AIDS, Tuberculosis and Malaria (GFATM) Project funded by the Bill and Melinda Gates Foundation, USA from the state of Jammu and Kashmir, India. In turn, trained counselors involved in HIV/AIDS counseling from the states of Jammu and Kashmir and Punjab, India from September 2009-December 2011. “Patterns of maltreatment, and strength and difficulties among school-going Kashmiri migrants and Non-migrants from Jammu City” Awarded a consolation (Honorable mention) prize for ‘Best Poster’ at the International Conference on ‘Enhancing Human Potential: Bio-Psychosocial Perspective’ organized by the Asian Association of Applied Psychology held at Panjab University, Chandigarh, India from November 15-17, 2010. Among twelve young researchers selected from all over India to participate in Spring Workshop on “Psychology and Education” organized by ICSSR (India), ESRC (United Kingdom), and N.W.O. (The Netherlands) at National Institute of Advance Studies, Bangalore, India from April 7-9, 2010.